Witness our iPhone XS bulletproof glass live and in action on our YouTube channel. 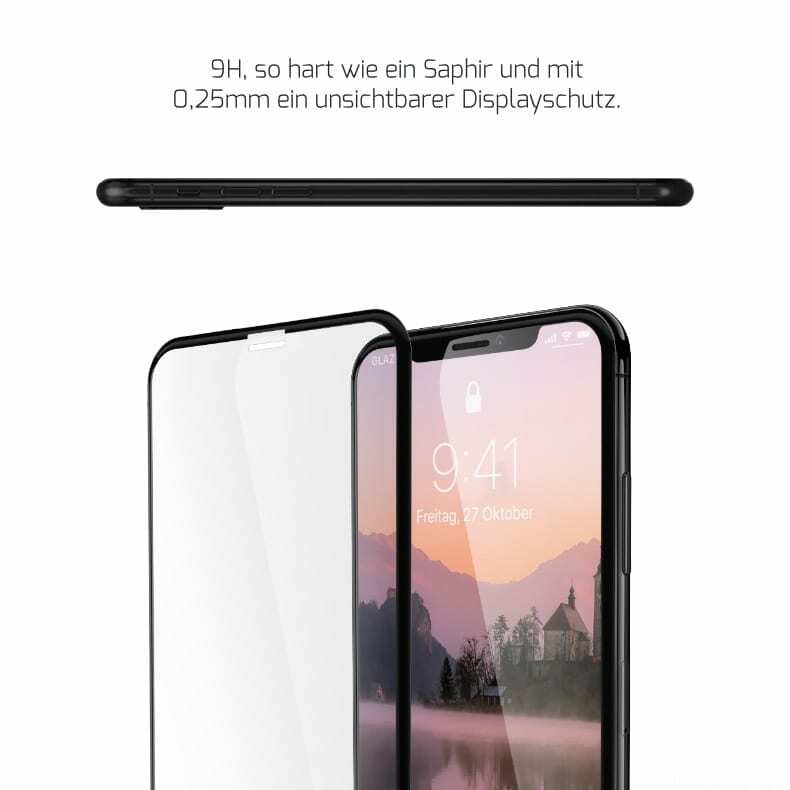 You’ll also find videos about our new iPhone XS Screen Protector Hybrid, our iPhone XS screen protector with the unique combination of real glass and composite materials. 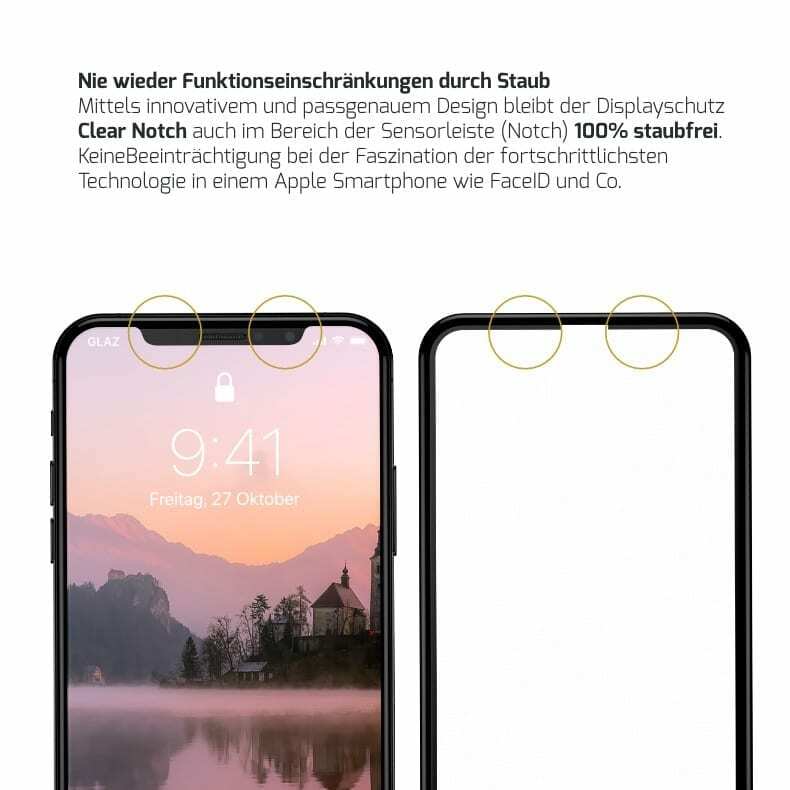 The iPhone XS Screen Protector 2.0 4D fascinates with a perfect design through the use of 100% real glass. 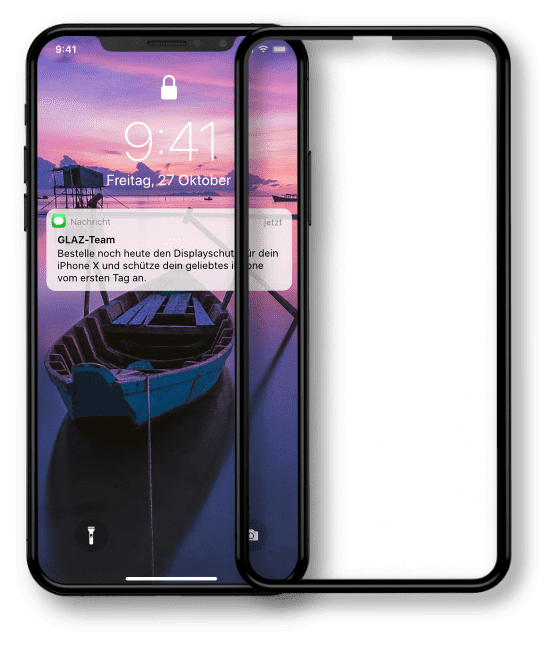 Because our iPhone XS bulletproof glass adapts optimally to the design of the Apple smartphone and impresses with impressive accuracy of fit and color fidelity. This makes it almost invisible – a real glass protective film from a piece! 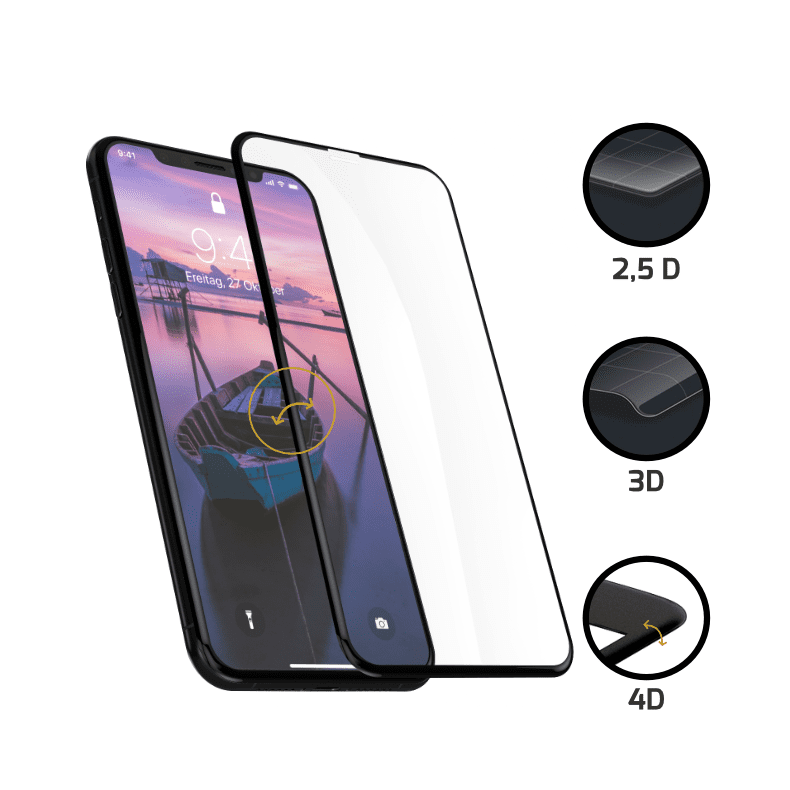 Buy our iPhone XS Screen Protector 2.0 4D now. The perfection of the screen protector 2.0 4D you feel every day and every gesture. Due to the 4D edge, there are no annoying edges like a conventional iPhone XS protective film. In addition, the unique 4D design offers 100% display coverage for maximum protection against scratches and other damage. 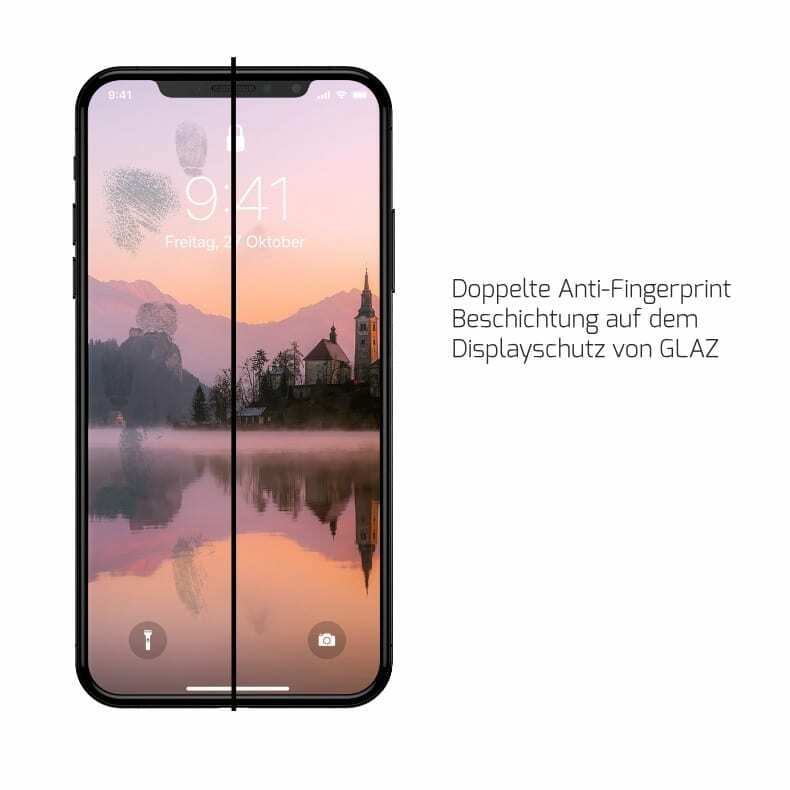 So that you always have a clear view of your OLED display with the iPhone XS bulletproof glass, GLAZ has integrated two layers of the anti-fingerprint coating into the screen protector 2.0 4D. Because the coating reduces the accumulation of fingerprints on the protective film and makes cleaning easier. 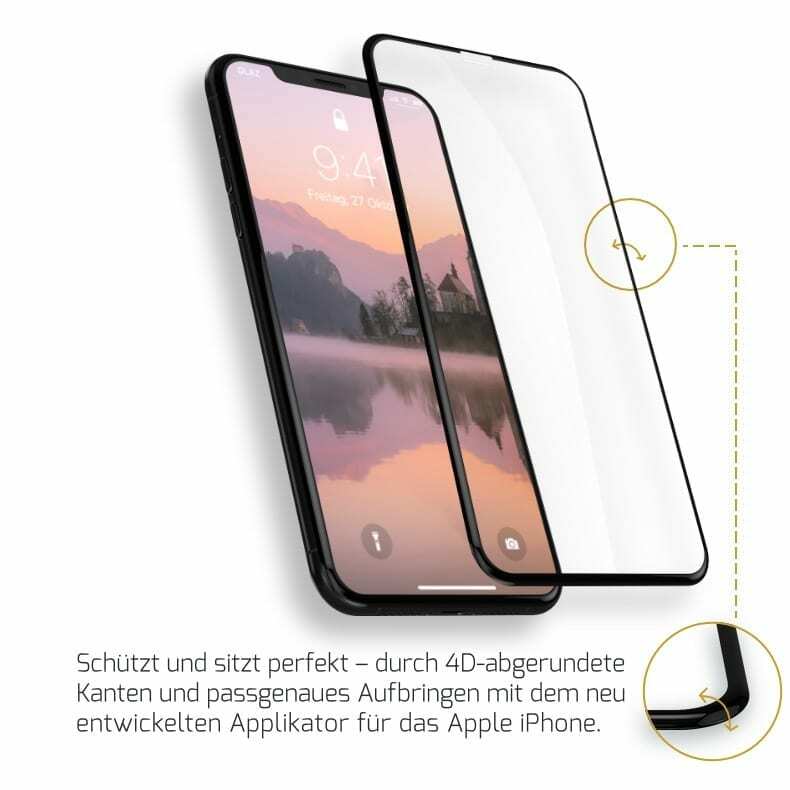 With the GLAZ applicator, the installation of the iPhone XS protective film is 100% accurate and fast. Furthermore, you will find our illustrated installation instructions and an installation video available. In addition, the intelligent coating on the back of the screen protector 2.0 4D avoids the formation of air bubbles by a quick reference to the display. Thanks to our innovative 4D design and a full-surface coating, our iPhone XS screen protector 2.0 4D is 100% dust-free. There is no dust accumulation on the display or in the area of ​​the notch. Due to the use of 100% real glass, the iPhone XS armored glass with a light transmission of 99% offers an impressive color brilliance. Experience the fascinating OLED experience of your iPhone XS yourself and enjoy every moment with your Apple smartphone. Buy our iPhone XS bulletproof glass now. If you save on the protection of your display, you’re definitely going to save on the wrong end. 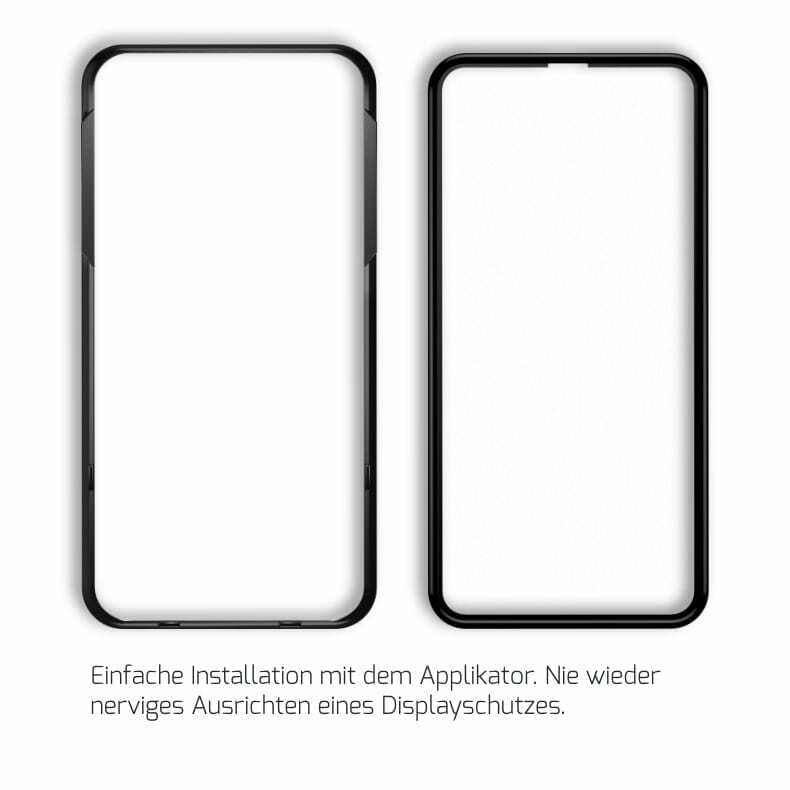 Because just the repair of the OLED display can cost a lot of money, such as the iPhone X 321.10 euros. That’s why the choice of the perfect protective film is all the better. Therefore, the choice of the perfect protective film is even more important to have optimal protection against scratches and other damage. 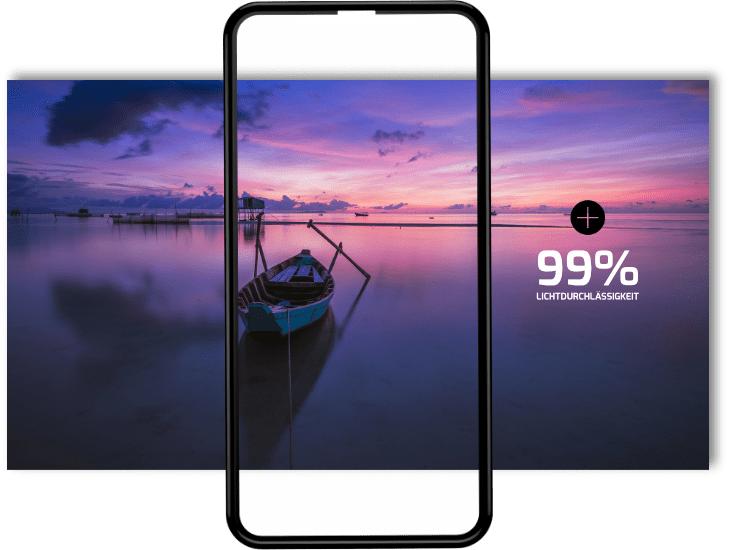 Our iPhone XS bullet-proof glass does the job and protects your display with a hardness of 9H, and also with smart 4D design across the screen. We want you to continue combining your lifestyle with your iPhone XS Case. 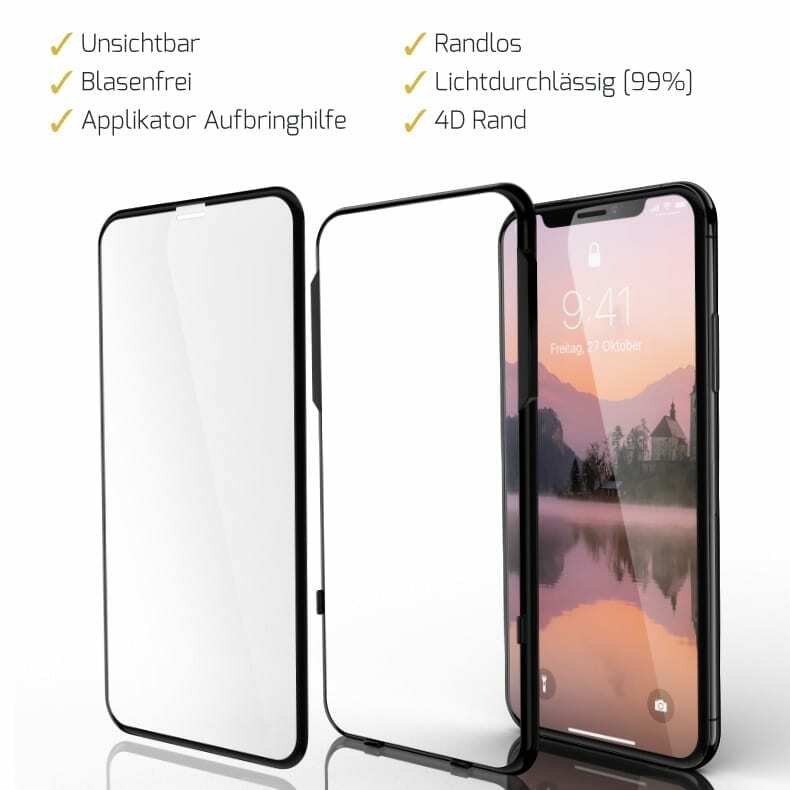 That’s why we offer you a high case compatibility with the iPhone XS Screen Protector 2.0 4D, so that your iPhone XS case fits.